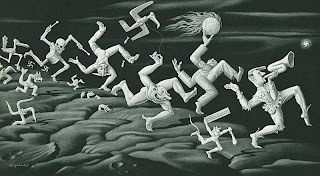 "Add Boris Artzybasheff to my list of favorite illustrators I’ve never heard of before but should have. Boris appears to have been active in the 1940s and illustrated a number of children’s books. But his political cartoons are what fascinate and disturb me."